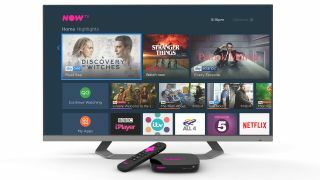 Now TV Black Friday deal: Save £100+ on Sky's streaming service | What Hi-Fi? Black Friday 2018 is almost here and already the Now TV Black Friday deals are starting to appear. That means you can grab a Now TV box or Now TV Stick for less, giving you to access Sky TV content without a contract. Now TV lets you pay for movies, sports and entertainment on a pay per use basis that varies between day, week and month blocks. So if you see a new series released that you don't want to miss, like Game of Thrones for example, you can pay for a package to watch just that. The same applies for live sport; you can pick and choose, saving you the cost of paying for a full year or more. Now TV also offers smart connectivity since everything runs via your internet connection. That means you can enjoy features like voice controlled searches for easy access to what you want. Interested? Here are the best Black Friday Now TV deals around right now.